Usually I'm not much for romances. In my opinion, a lot of them are formulaic. You can change character's names, occupations and locations, but the story line is always the same. Girl meets guy, guy chases girl, girl hates guy, guy wins girl over, yada yada yada. But Farrah Rochon has created a catalog of characters and plopped them down in the town of Gauthier, Louisiana and now, I'm all in. 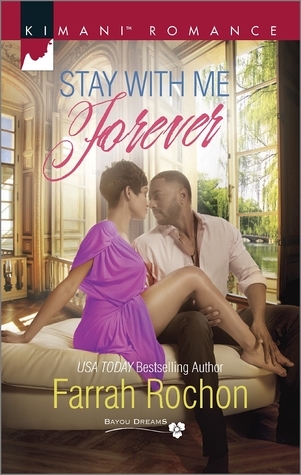 Rochon's latest in the Bayou Series is Stay With Me Forever. It's the story of what was once and could have been, but wasn't and now could be. Make sense? Paxton Jones was the girl from the wrong side of the tracks. In high school, she had a crush on Sawyer Robertson, a star football player and the son of one of the wealthiest families in town. The two hooked up once, but nothing came of it, thanks to Paxton. Now they're working together on a plan to save the hometown they love so much, if they don't kill each other first. So that's the basic premise of the book, but the backbone of this series is the town of Gauthier and its people. Because this is the sixth book in the series, there are back stories and characters previously introduced in other books, but I had no clue as to who they were. That didn't detract from the story, it only made me curious and so over the course of five days, I read the first five books in the series. Yeah, Rochon's writing is that good. 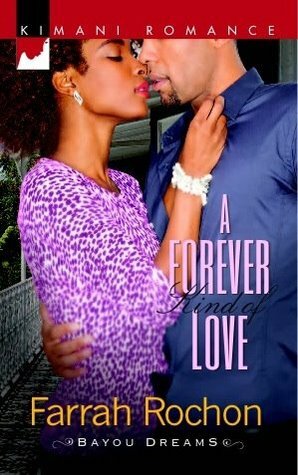 In the first book of the series, A Forever Kind of Love, we meet Mya Dubois, a Broadway designer, and Corey Anderson, a former professional baseball player who now coaches baseball at the local high school. 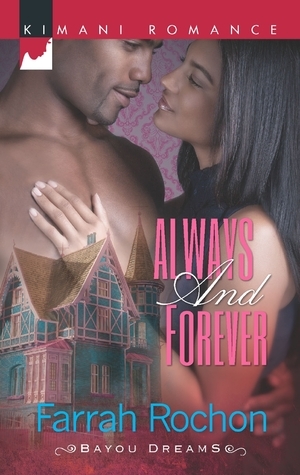 Always and Forever brings us Phylicia Phillips, a restoration expert. Rochon made this sound like the most amazing career ever! 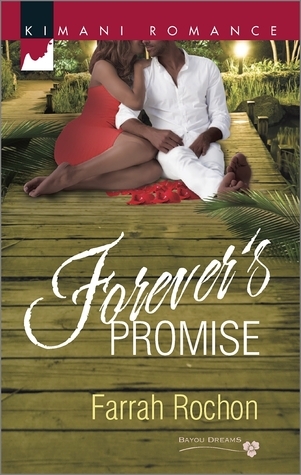 Phylicia's love interest is Jamal Johnson, a recent transplant to the small town of Gauthier. Yours Forever is my least favorite of the series. It focuses on Matt Gauthier, descendant of the town's founders. His family's legacy puts an unnecessary burden on him, but it's only been placed there by him. Matt falls for Tamryn West, a professor in town doing research on a recent discovery in the building that houses Matt's law office. If Yours Forever was my least favorite, Forever's Promise was my favorite. Shayla Kirkland runs the local coffeehouse, is trying to establish a relationship with her nieces and has no time for the arrogant, but dreamy, new doctor in town. Xavier Wright knows that women in town are finding reasons to show up in his ER, but he's barking up the wrong tree when he accuses Shayla of doing the same. These two were such fun to watch. 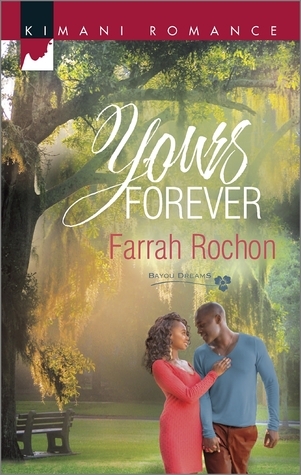 Rochon turns up the heat in Forever With You as she introduces science teacher and assistant principal Gabriel Franklin. Gabe has his eye on Leslie Kirkland, a widow, president of the PTO and mother of one of his students. Leslie is also Shayla's sister-in-law. In true small town fashion, everyone knows everyone and is connected to someone in some way. 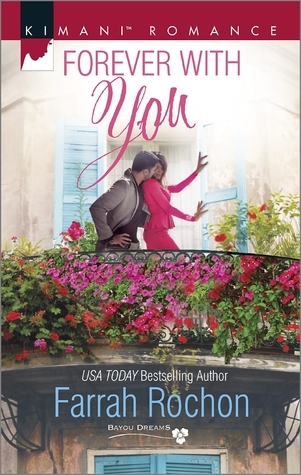 You'll find Mya from A Forever Kind of Love showing up at town meetings or Matt from Yours Forever popping in to Shayla's coffeehouse at any moment. I told the author that if Gauthier really existed, I'd pack my bags and head there in a heartbeat. I apologize for the extra long post, but I just wanted to share with you why I fell in love with Gauthier, the Bayou Series and the characters. I'm sure you will too.